Take a look at the latest top Carnival Vista cruise deals and price drop discounts. Use our widget to find the lowest price for the desired sailing and cabin type wanted for the Carnival cruise ship. This Carnival cruise ship started a new era for Carnival Cruise Line with a new class introduced. 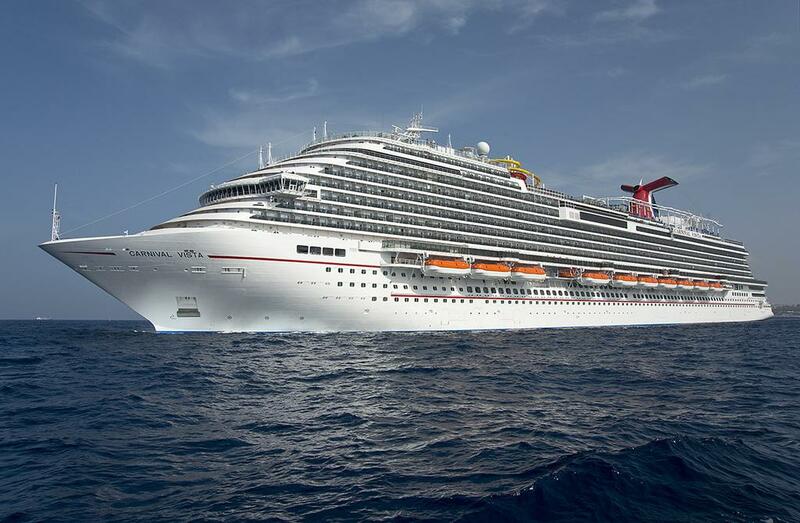 Carnival Vista is the first in its class and brought some industry-first features at sea. To date, it is also the largest Carnival ship in the fleet but this will soon be taken over by a new generation of ships in the future. Carnival Vista features the first ever SkyRide which is an award-winning elevated track on top of the ship. Guests can peddle around racing each other or just taking it easy with ocean views. The first IMAX Theater at sea was also introduced onboard Carnival Vista. Just like her sister ship Carnival Vista has more cabin options than earlier built vessels. With this class the cruise line has introduced new Havana Staterooms and Suits inspired by the Cuban city and located near Carnival Vista’s Havana Bar and Pool at the aft of the ship. And it get’s better with this class ship with Family Harbor Staterooms and Suites, dedicated for family cruising there are plenty of features to keep the kids entertained and they even get to eat at the on board specialty restaurants for free. If your taking a cruise on this Carnival cruise ship to relax then why not do it in the Cloud 9 Spa Staterooms and Suites. By booking these cabins guests also get free fitness classes and plenty of perks on board. Just like all the other Carnival cruise ships Carnival Vista has the regular type cabins including interior staterooms, ocean view staterooms, balcony staterooms and of course the most expensive suites.